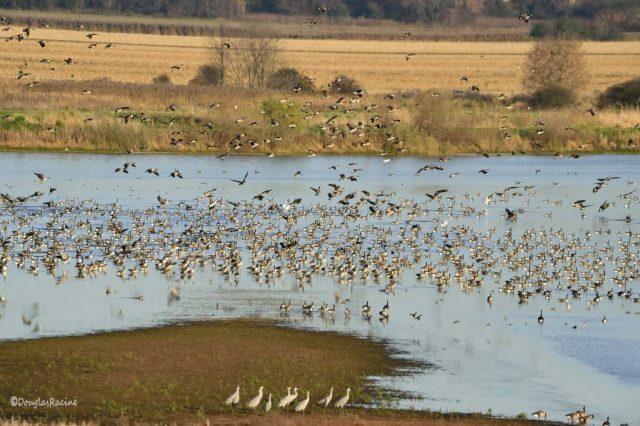 Last week’s deluge has created the perfect habitat across the Montezuma Wetlands Complex for millions of ducks, geese and swans that are on an impressive journey down the Atlantic Flyway! Hop in the Montezuma Audubon Center Birdmobile this Thursday, Oct. 27 from 9:00 a.m. – 11:00 a.m. for a guided tour of this globally significant Important Bird Area to experience the peak of the waterfowl migration. Birders of all ages are welcome! Binoculars and field guides will be provided. Fee: $8/child; $13.50/adult, $35/family. Call 315-365-3588 to register.